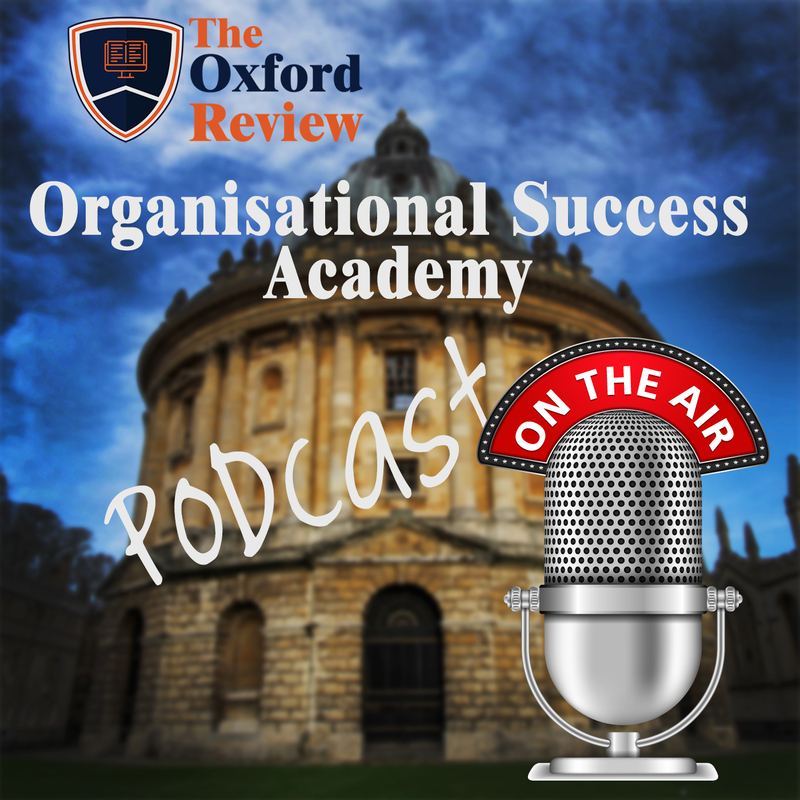 Adaptive Leadership – Interview with Mary Uhl-Bien, Professor of Management at the Dept. of Management, Entrepreneurship and Leadership at TCU in Fort Worth Texas. 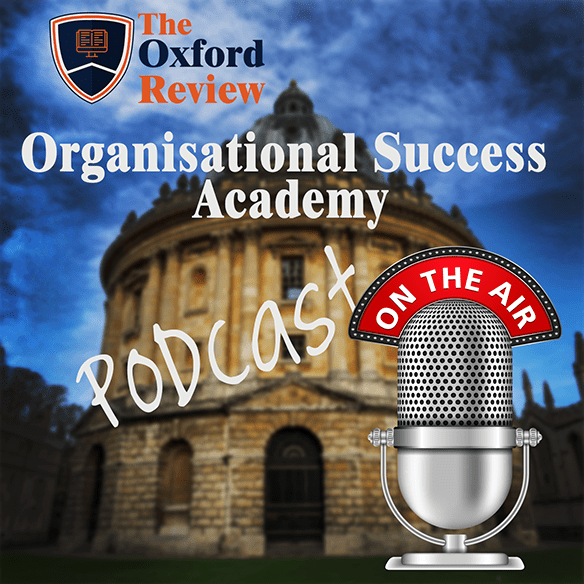 In this podcast we look at the concept of adaptive leadership and how to develop an adaptive or ambidextrous organisation. David Wilkinson: Hello again. Today I’d like to introduce a professor … we’re talking to Professor Mary Uhl-Bein. She is professor of management in the department of management entrepreneurship and leadership at TCU in Fort Worth in Texas. Mary Uhl-Bien: Thank you for having me. David Wilkinson: It’s an absolute pleasure. What we’re interested in is this paper which is … I came across recently which is about leadership for organizational adaptability, the theoretical synthesis and integrative framework. David Wilkinson: Mary can you just, just to give us a bit of background, can you just take a couple of minutes to introduce yourself? Give the listeners a little bit of background about your personal journey so far and your academic history about how you got here in terms of your research interests. Mary Uhl-Bien: Sure. I’m the BNSF railway endowed professor of leadership at TCU here in Forth Worth, Texas. I’ve been here for four years and prior to that I was in Nebraska. Prior to Nebraska I was in Florida and then prior to that I was in Alaska. Mary Uhl-Bien: We grew up in Cincinnati, Ohio, so from all the moves, my husband and I realized that we must be high on sensation seeking. You learn about yourself by seeing what you do. Mary Uhl-Bien: We went from Cincinnati to Alaska which was about as far as you could go in the country, and then we went from Alaska to Florida which was a bit … again, about as extreme as you could go. We then went back up a bit and now we’re down, we decided we like the south and the warm. Mary Uhl-Bien: We live here with our youngest son and our Siberian dog which, poor thing, she’s supposed to be in the north and she’s down here in the heat. And then my two older children, we left one behind in Nebraska ,so he just graduated college there. And my daughter’s actually in England, over with all of you. She’s living in London right now. She graduated with her master’s from Oxford last year. Mary Uhl-Bien: She did it in evolutionary biology which is a field in anthropology. She’s working now with a company in London, they’re doing data automation. David Wilkinson: Fantastic. Great. I hope she enjoyed herself at Oxford. I’m sure she did. Mary Uhl-Bien: She loved it. I think she got into it because of Harry Potter. David Wilkinson: Really? That’s fantastic. Mary Uhl-Bien: Yeah, Harry Potter is based on it, I wasn’t aware of that but she told me. David Wilkinson: Yeah, a lot of the scenes were shot in the colleges here so absolutely. Oxford’s a weird place. I came here to do a master’s and never left, so it’s just become a life choice. Mary Uhl-Bien: I can see that, it’s a wonderful place. David Wilkinson: Have you been? Mary Uhl-Bien: I have, yes. David Wilkinson: Fantastic. I love it. Anyway, great. David Wilkinson: That’s fantastic. Could you just give us a quick overview about how you ended up doing this particular paper, the research that went behind it, and include any previous research that you’ve been involved in that this was actually built on? Mary Uhl-Bien: Sure. I was not planning to do a PhD. I was recruited into the PhD program by George [Grain 00:03:10] who studied leader-member exchange theory, he was the father of that theory. I was in his undergraduate class and I guess I was really obnoxious, I kept asking him a lot of questions and challenging him and engaging with him, so he told me I had to come into the PhD program. Mary Uhl-Bien: It was a time when we were … there was a recession in the U.S. and the job market wasn’t very good. So I came into the field that way and I worked with him on leader-member exchange, and I always wondered why my view of leadership was a little bit different from the other scholars I’ve seen in leadership. I knew there was something different but I couldn’t figure out what it was, and I realized it’s because I was trained in this model of leader-member exchange and so I always saw leadership as a relationship. Mary Uhl-Bien: In that relationship with George, he was the mentor and I was the protégé, but our relationship was very much one of doing this: he brought me in because I would challenge him. I would sit on his couch in his office for hours on end because we would just go at it, and from all of that we generated really creative work. So that’s how I view leadership. He trained me in the definition of the … leadership as a relationship. Mary Uhl-Bien: So we studied leader-member exchange and I then started getting into [exec ed 00:04:28] and working with practitioners, I was hired on as a consultant. In doing that I started to realize … I tried to consult and say, “You need to build these relationships,” and the leaders I was working with pointed out to me pretty quickly, “That’s not really my job.” So then I started to see the limitations of the theory that I was doing. I really wanted to have a theory work … spend time in research doing … developing a theory that had rigor and relevance. Mary Uhl-Bien: All of that set me up that I was looking for something different, something bigger and broader, and I was introduced to Russ Marion who was doing research in complexity. From that we started doing complexity leadership and we wrote our first paper in 2001. We continued that work and so then in 2007 we got the theory hammered out, we started working on the empirical work, and this paper is the follow-up to all of that. David Wilkinson: Got you. Now I understand the background of how you got to where it was. Interesting. David Wilkinson: It’s a fascinating paper. It pulls together a lot of thinking that hasn’t been pulled together in this way, and certainly the whole area behind exploitation and exploration. [inaudible 00:05:47] been a lot of work done on that, actually pulling it together and looking at how that works within an organization, particularly drew me to this. David Wilkinson: I suppose there’s a few things that, from my point of view anyway, I found that there is really new … in the paper, three main areas. The first one is the relabeling of three types of leadership required for developing adaptive capability in an organization. It’s entrepreneurial leadership, enabling leadership, and operational leadership. David Wilkinson: Do you just want to spend a couple of minutes talking across those three and what you mean by them? Mary Uhl-Bien: Sure. I was thrilled when you were writing me your overview, that you actually got the gist of the paper. I thought, “God, he really gets it,” when you were describing it and pulling out the pieces that really matter. Mary Uhl-Bien: To tell you how we got here, what happened was we had our 2007 paper when we wrote the theory, and we spent six years really deep trying to figure that out. It was not easy and we had a lot of pushback doing a lot of presentations to practitioners. So then we started collecting data. We went out and we did a lot of qualitative work, we did some interventions, we did field studies. As that work was unfolding we kept getting calls from practice to come into their companies. Mary Uhl-Bien: Michael and I worked really hard to refine a model we presented to practice and we got it to the point where it was tight and solid. So now that challenge was, “How do we get it into academic research?” That was what I did with this paper, is we had so much … a massive framework, you can’t put it down into one study, and had to figure out how we could get academics to understand this and ground this in theory. So this is all set up to tell you about the the leadership style. Mary Uhl-Bien: What I realized in doing all of this is people were not resonating with the complexity idea, it was just too hard. People weren’t going to go learn complexity theory, and while that’s an incredibly rigorous grounding and theoretical framework for this, really at the core of the model’s about adaptability. So then I started looking for leadership for organizational adaptability and realized that it was being covered in all these different areas, so I proposed this review piece. Well, I had no idea what we were going to find when we did the review. So we had all of our understanding from practice, no idea what we were going to find in the literature, but when we started looking and we found these different areas that we’re talking about, what was so shocking was it all came together. People were finding the pieces of what we had found in our overall framework and we were pulling from a lot of [qual 00:09:12] work, because the qualitative work is what many of these approaches use, or different kinds of approaches from just the survey work. Mary Uhl-Bien: When we saw it we pulled all of the different pieces and it went into a nice, neat framework that we had developed from practice. In that framework, what we did was we took the initial leadership styles that we knew about in the 2007 paper and then just updated them. If you look at the 2007 paper, the theory paper, we talked about it as adaptive and administrative, and then we had enabling in the middle. What we discovered was we had the adaptive wrong. We were thinking adaptive was bottom up, really it’s more of the middle piece. It was a whole long story about how we figured that out. Mary Uhl-Bien: Then when we look at the literature it became so clear. So figure one in the paper really shows it. Across all of these different areas this is a very robust, resound finding that you have the two sides, but the adaptability lies in the middle. But nobody gets that. They don’t really understand it and it’s like they’re touching the different parts of the elephant. Mary Uhl-Bien: So what we did with this paper was pull it all together. You’ve got entrepreneurial. You’ve got operational, which was the administrative piece, and then you have enabling. With the entrepreneurial, what you’re doing is you’re pushing method exploration. You’re looking for innovation, learning, and growth. With the operational you’re pushing for results, so that’s the administrative piece where organizations have managers who drive for results or operational leaders who do that. And then the enabling piece is the middle pieces that’s about adaptability, and what that does is work to enable adaptive space. David Wilkinson: … I can send it to my members. Mary Uhl-Bien: I might need to ask Elsevier, but right now they’re offering it free online so I think you have permission probably. David Wilkinson: I think you’ve got the copyright actually because it’s yours. That’s usually what happens. Mary Uhl-Bien: Mo, they keep it. David Wilkinson: Oh, do they? Anyway, I won’t go … Choose your publications wisely. Okay, that’s great. David Wilkinson: The second idea that really comes out of this is the idea of leaders creating and holding an adaptive space. For me that was the really big idea in all of this. Can you just explain what you actually mean by that? Mary Uhl-Bien: Sure. What we found in our research, and you can see this in an article that I wrote for Organizational Dynamics that came out last year and that was geared toward practitioners, the major finding we had in our work was that the world is more complex, in a more complex world. What that means is that the world is … has rich interconnectivity. In this interconnectivity, that we have increased interconnectivity, [inaudible 00:12:15] means that when things come together they interact, they fundamental change each other. They create phase transitions which leads to unpredictability and it leads to dynamism and speed and all of these kinds of things. Mary Uhl-Bien: In that world you need to have complexity to respond to complexity, but the problem is that organizations strive to order. Our organizational systems are designed to go to order, which is a more bureaucratic or structured or standardized response. Mary Uhl-Bien: Organizations that live in complexity and that are highly adaptive and innovative, what they do is they don’t go to order, they go to a complexity response and they do that by using adaptive space. Adaptive space is conditions that allow for adaptability to occur in a system, they’re not part of our natural organizations. Nowhere in an organization design, structure, chart in a bureaucratic organizing system, is this adaptive space. So what you need to do as a leader in organizations is you need to work to create that adaptive space. Mary Uhl-Bien: Now the nice thing is, what complexity does is it naturally opens that up. So when complexity happens it creates these conditions and organizations, well, they have to adapt. But the problem is, what managers do and what employees want managers to do, is they close that back down. When they’re being disrupted or it’s uncomfortable or they have tension or these complexity pressures, what they do is they take care of it, they fix it, they problem solve, “Oh good, we got that one, the fire’s put out. We fixed it, it’s now going away and we can go back to our happy lives.” That’s the order of response. Mary Uhl-Bien: We really need to be able to play in that adaptive space and to keep it open and use it appropriately. David Wilkinson: I think part of that’s about creating the space for people to be able to look for emerging properties. Quite often in organizations there isn’t the time, and holding that adaptive space, allowing for noticing those things rather than creating, as you say, order rather than actually creating certainty, allowing the uncertainty be and looking at the uncertainty and looking for patterns in that uncertainty. That’s part of the work that I’ve been doing and one of the reasons why I connected so much with the paper I think. David Wilkinson: It’s really interesting. Have you got examples of organizations that are actually holding an adaptive space? Mary Uhl-Bien: We have actually, yes. We started with the companies that were coming to us that said, “We need help with this,” and we have a whole bunch of those. What we began to realize was, “We’ve studied this, but most of these are more bureaucratic. They’re struggling with the adaptive space, so we need to go out and see if we study highly innovative and adaptive organizations if they have it.” So we did a second follow-up study validation study after we developed our model with these highly innovative, adaptive … and yes, this is what they do. Mary Uhl-Bien: So I think [inaudible 00:16:16] feel pretty confident that this is what organizations that are adept in this world, this is what they’re doing. David Wilkinson: There’s two … the ideas of conflicting and connecting come out of the paper in large. Can you just explain what you mean by those and how they affect practitioners? Mary Uhl-Bien: Sure. 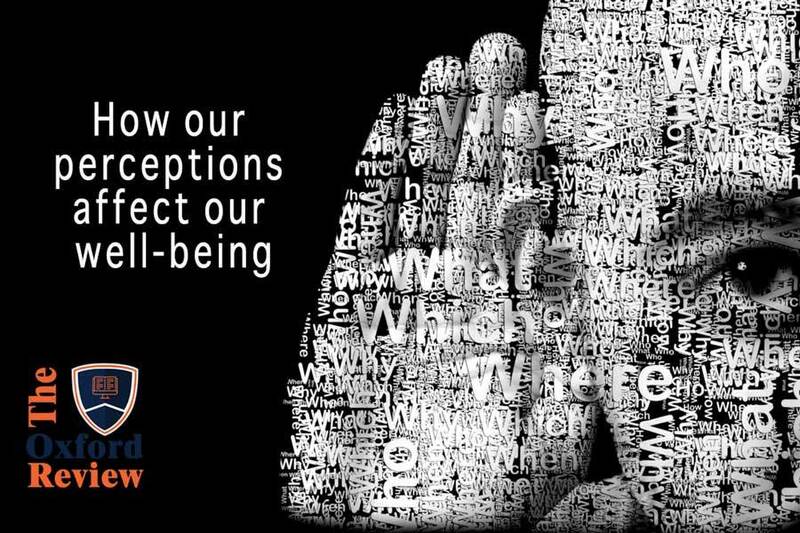 Conflicting is the idea that you have heterogeneous worldviews, you have different perspectives. When complexity happens, what’s happening is that it’s … it creates pressures in the system. It creates an adaptive challenge meaning that you have to do something different. It creates conflicting perspectives and … or, new partnerships. The second one was new partnerships. So adaptive challenge, new partnerships. Mary Uhl-Bien: In new partnerships, people have to come together and work together who haven’t done so before, and that happens all over the place. When those people come together they have diverse backgrounds, so they have different needs and they have different worldviews and different perspectives, different training, background. That creates this conflict in that relationship and what often happens is people shut that down, so they try to get rid of the conflict. Mary Uhl-Bien: What we know from complexity is that a poor element of complex adaptive systems is tension and what I was calling the, “Tension dynamic,” for many years. So we decided to use the word, conflicting, to get people to understand that what you need to do in organizations is engage that conflicting. There’s a way to do that, there are processes for it. People who are good at complexity know how to do this, bring the different ideas together, and that’s what adaptive space does is it brings these differences together in the right conditions to engage them. And we want that creative tension, that adaptive tension. Mary Uhl-Bien: So you play on the tension, but the other piece of it is, conflicting is only good if you have connecting. Out of that conflicting, out of that diversity, when you have the heads butting if you will, something sparks. It’s usually something that you haven’t thought of before. That’s where the creative … creativity comes from, that’s why they call it, “Creative abrasion.” So you have to get really good at understanding to watch for those sparks and look for the areas where the connections can occur. Mary Uhl-Bien: Now, that’s in the creative process of adaptive space. The really fascinating thing about this is in complexity we talk about these fractals. Fractal means that it scales, it looks the same as it scales across the system. This dynamic could occur between you and me, which is what I discovered George and I did at … doing when I was sitting on the couch, that was my training. Russ and I did it as we developed this work together. Mary Uhl-Bien: So this is a core part of everything that went into this work, but that also occurs in the organization. So if we scale it up and think about it at a different level, when people have a new idea … Let’s take an entrepreneurial leader who has a new idea. That person starts to develop that new idea, then socializing in the local environment, and then the person, after they refine it a bit and decide it’s got some legs, they decide, or a group decides, they’re going to take it out into the organization and try to scale it to make it bigger. What happens is when they take it out and they go bigger, it hits up against the other parts of the system, so that’s conflicting. Mary Uhl-Bien: That conflicting goes all across the levels. It happens over and over again. You’re trying to get through the conflicting to do what we call, “Linking up,” or, “Connecting,” so you then find a way. Okay David, I’ve just given you this idea, you saying, “No, it’s not going to work.” I take it back, I refine it, and I come back to you again and I continue that or I find a work around until I can get a way to link up with you. Now we’re linked up and you say, “Okay, this will work,” and then you continue to do that process. It’s an ongoing and they’re really not separable. They work together as a dynamic and it’s a fractal dynamic. Pretty cool, huh? David Wilkinson: This is why I [inaudible 00:21:29] emotional regulation’s so closely to generative leadership, is they don’t run away because of the conflict, they move into it to see what they can learn from it. And they don’t start forcing things on people, what they’re trying to do. It goes back to the whole thing about merging properties. They’re trying to find out, “What’s going on here?” And trying to work out what the worldview is and learn from different perspectives, so they become collective of lots of different perspectives and diversity. Not diversity in the sense of just skin color but in the way that people think and see things, because that enables them to start to work out what’s actually going on with the conflict. David Wilkinson: It just dovetails so beautifully into some of the work that we’ve been … I’ve been doing for years which is why I got so excited. Mary Uhl-Bien: That’s exactly it. You just described it perfectly. David Wilkinson: We’re going to have to meet. David Wilkinson: When you’re in Oxford next. In fact I will be coming to the states a bit later but anyway, we’ll talk about that afterwards. David Wilkinson: From practitioners’ perspectives, because this whole thing’s really for practitioners is, what should they really be taking away from your work and from this whole idea bout adaptive spaces and the three types of leadership that you’ve come down to? Mary Uhl-Bien: The most important thing is to understand that the natural reaction in organizations and in systems is to go to the order of response, to drive to results, to problem solve. This is a huge problem for managers and for leaders because this is what we’ve trained them to do. The problem with leadership is we’ve told leaders, “Yes, you’re problem solvers, you’re decision makers. Here’s what you need to do: build good relationships with your employees which means make them feel good.” Quite often this is not a process that makes people feel good. 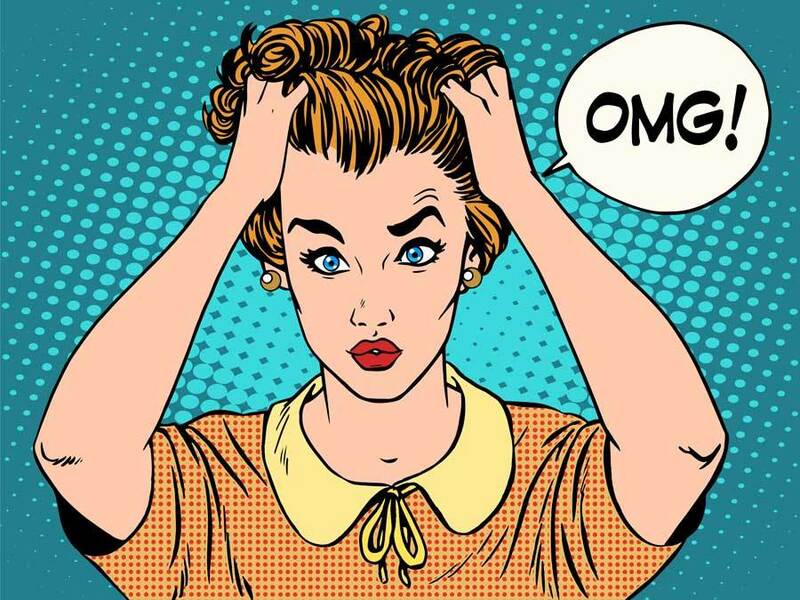 People who are not comfortable with ambiguity or uncertainty, they experience this as extreme stress. Mary Uhl-Bien: What managers do is try to make people feel better and take that stress away, fix the problem. That’s one of the worst things you can do in this situation. We have to be very, very careful that we understand that the role of leadership today in the conditions of complexity, and there’s so much more of it, is to enable this adaptive space, enable the conflicting and connecting in that process, and that it looks very, very different from normal leadership. So we actually need to change our competency models, we need to change our recognition and reward systems, because leaders who do this, they don’t look like what we’ve described as leaders or defined as leaders. Mary Uhl-Bien: Now in this current stage we’re got a practice group we’re working with, we’ve got some really carefully hand-selected leaders we’re tracking. Michael already did it, we tracked him. Now we’re tracking other leaders to see how they’re doing and they’re not always recognized as leaders. They can be flying under the radar or it can look like invisible leadership. Mary Uhl-Bien: The other challenge is they need a lot of coaching and support because this is not an easy process to work through, and now we know of some of those nuances of what’s happening. So we need to get more information out to these leaders to say, “Here’s what’s going to happen. Here are different stages of this. Here’s some warning signals,” et cetera. David Wilkinson: It’s beautiful. Actually, one of the ways that, just as you were talking it made me realize, is that we put leaders in organizations and that’s what they do, they organize. Unfortunately what happens is they organize the living life out of complexity rather than holding the space to learn about the complexity. Mary Uhl-Bien: That’d be great. David Wilkinson: … that you might be interested in. Mary Uhl-Bien: I’d love to see it. David Wilkinson: What’s next for you in terms of research? What are you working on that you can tell us about right now, and where next? Mary Uhl-Bien: On the practice side we really … we have so much interest from practice. I have never had more practitioners contacting me and so we’ve been prioritizing them. I’m working to get a companion piece out to the Org Dynamics article that I published last year with Michael and explain more about how you do this adaptive space, because in that one we gave the interview, and this next one we need to show more about how you do it. Mary Uhl-Bien: Then on the research side we now have the new model, the revised model out which we’re thrilled about. I’m so excited that you saw the paper and liked it, thank you for that. David Wilkinson: I love it. Mary Uhl-Bien: So the next step there is I want to write a piece on the tension dynamic because really the core of this, on the academic side, the core of this is this tension dynamic, and people just don’t understand it. It’s going to be similar to what I did with this other piece where I look all over in the literature, because when I was doing the first review I could see that there are insights there, so I’m going to call all of those findings. Then I’ll write that one up in terms of explaining more about adaptive space, and the tension dynamic is the core of that. David Wilkinson: Brilliant. Excellent. I’ll send you some references actually because I’ve been doing quite a lot of work around this area. There’s some really interesting stuff. That’s fantastic. David Wilkinson: That’s brilliant. Is there anything else that you’re working on in research terms? Sorry, that’s my dog. Mary Uhl-Bien: [inaudible 00:27:43] doing this from home. David Wilkinson: I know, yes. I didn’t realize you couldn’t get through to there. Mary Uhl-Bien: In research terms I think, again, we’re going to do the tension dynamic, the adaptive space, and then we have lots and lots of studies. So once we get the big picture, then we’re going to start providing more of those studies that I was describing. We’ll go back and write those up. Mary Uhl-Bien: The challenge for us on the research side is that … getting the world of academics to understand it. It doesn’t fit into the nice, neat little box. You had asked me in the original framing about what practitioners should know about evidence-based, and what I would say is this: be careful thinking that it’s evidence. That what’s being pulled from out literature is evidence. That again is some language that we use as academics and there’s a group [inaudible 00:28:40] pitching it. I agree with where they’re trying to go, I just don’t know if I agree with the evidence piece, because the idea that we have evidence views [the methods 00:28:49] that we use, to me is questionable. A lot of those studies are perceptual, so the reason that I left the [inaudible 00:28:57] because it was a seven item measure of a perception of a relationship, and we would draw all of these conclusions that went way beyond the data, and I got fairly uncomfortable with it and I knew that there was much nuance to it. Mary Uhl-Bien: So I would say just take … there are … definitely are key findings or principles we know, there’s no question. It’s all basic principles that we’ve known from eons of research and just from our theory, so that’s really good stuff. Just be careful about the idea that one study can be so informative. Look at the methods to see what’s going on in those studies and then understand that there’s not a magic toolbox. You have to do the hard work of learning the stuff. Somebody’s not going to come in and say, “This study shows this and I’m going to go implement this,” that’s really just not how it works. David Wilkinson: There’s a whole series of things there. In fact I’ve just been writing some stuff on this about the four areas for having this based-practice that includes, obviously, academic research, but it also includes the practitioner’s experience, feedback from the organization, feedback from customers and clients, and these four things that come into having this based-practice, it isn’t just the academic. David Wilkinson: One of the things that actually drew me to the … to your paper was the fact that it’s grounded, it’s actually based on … it’s based on things in organizations as opposed to a theoretical-base first. Mary Uhl-Bien: Exactly. That’s what we did with our research. People were saying to me after I wrote the 2007 paper, “You need to write a book,” and I said, “No, I need to go see how this works in the world.” And yet, as I said to you, the reason we have not published a lot of papers is the academic world doesn’t have a forum for getting that work out because it doesn’t fit our typical research methods. Mary Uhl-Bien: So what we did is a combination of things and I think that that’s really what we need to do in research. We worked with so many practitioners, they were partners in this all the way through, and yet we still had this … the very scholared, theoretical grounding. I like rigor and relevance. Rigor in the theoretical side, relevance to practice. Or impact, you could talk about impact. I like that better than this idea of evidence. David Wilkinson: Brilliant. That’s fantastic. It’s one of the reasons for the Oxford review actually, because that gap between academic and practitioner is usually huge, but trying to close that in this paper does it beautifully. Mary Uhl-Bien: And that’s what happened here is that Michael is a practitioner, he’s got a PhD in practice and he’s my partner in this work. We had our research team but then Michael and I went off to try to do this work, so that’s what you see in it. David Wilkinson: Mary, thank you very much for spending the time with us. I’ll be in contact anyway, I’ve got some things to send you. Just, thank you so much for your time. Mary Uhl-Bien: Thank you for having me, it’s been really wonderful.